We get it. The thought of breaking up with your denim is impossible. A date night always comes with its own set of butterflies, so when you’re figuring out what to wear, go with what you know (and love!) and dress up your jeans for date night. Here’s how to style jeans for date night. If you usually default to a pair of light or medium wash jeans, try switching up your date night look with a pair of dark wash denim. Just as comfortable as your classic pair, dark denim instantly looks and feels dressier. If you’re looking to mix up your date night outfit, try out a pair of colored jeans in place of your tried and true blues. Pair them with a silky blouse for a feminine vibe, then slip into a pair of stilettos to step up your date night look. Don’t forget about that bright swipe of lipstick, too! My final piece of advice for wearing denim for date night? A denim double date! Take your favorite chambray shirt and pair it with your favorite jeans. 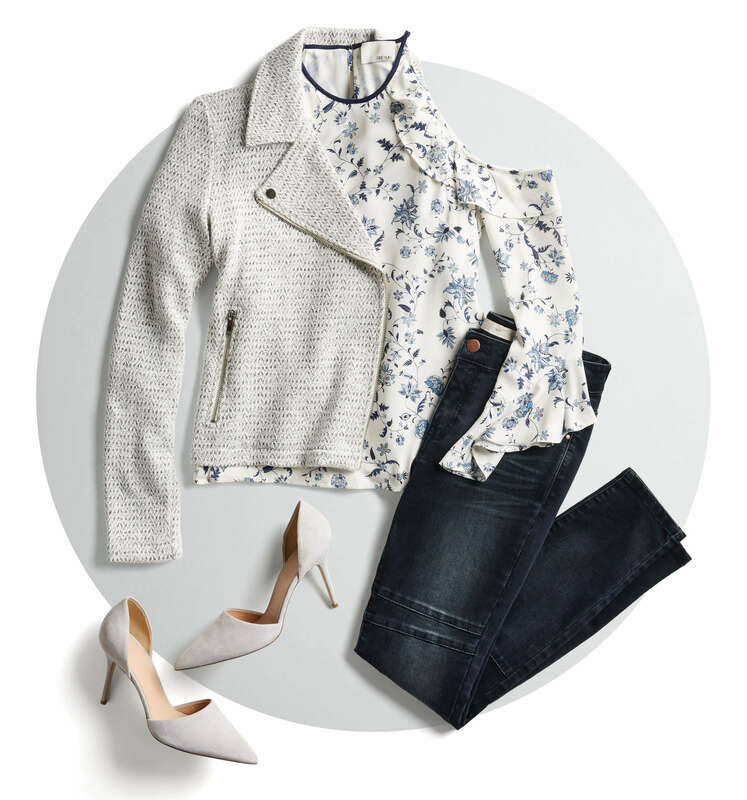 There’s only one rule of thumb here—just make sure that your denim pieces are in two different washes. That way, you’ll avoid paying homage to B. Spears circa the Timberlake years! If you’re hoping to freshen up your jeans for your next date, be sure to schedule a Fix! Then, tell your Stylist that you’re on the hunt for a new pair! Wondering what else you should wear for date night? Go ahead, ask a Stylist!